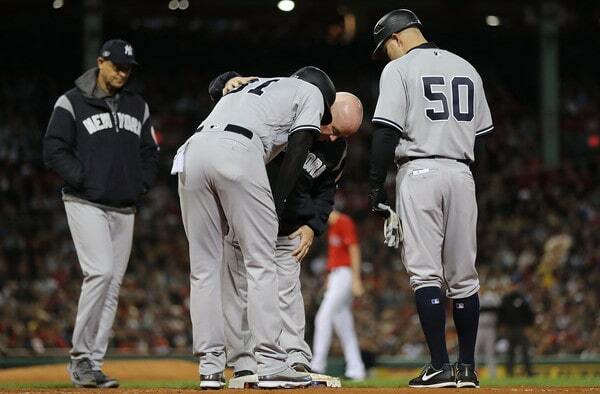 9:47pm ET: Hicks left the game with a tight right hamstring, the Yankees say. He had a tight left hamstring the last week of the regular season, so this is a new injury. He’s going for tests.
? The Yankees have not yet announced an update on Hicks, so stay tuned. He’s been one of their best players all season and losing him for any length of time would be bad. As a reminder, the Yankees can replace Hicks on their ALDS roster if he’s hurt, but, if they do, he will not be eligible to play in the ALCS. Hopefully it doesn’t come to that.